This is the most comprehensive page on some of the most frequently asked questions about GD. Let us know if we missed something and we will add it in our list of questions. Note: GD means Gestational Diabetes. What is GD? What are the signs and symptoms? What kind of weight gain should I expect? Gestational vs type 2 diabetes. How does apple cider vinegar effect? What are the cut off values for GD? What are the screening tests available? What should the fasting blood glucose be when pregnant? What is the correlation between GD and jaundice with the newborn? What foods should I avoid? What is the correlation with gestational hypertension and GD? When do you get tested for this issue? What causes it? Who is at risk? What is the risk of getting diabetes after being diagnosed with GD? What is the risk of my child getting diabetes after I am diagnosed? What are some healthy breakfast ideas for someone with this issue? Is there a risk if taking Zantac? Does Zofran cause it? Are Zone bars okay to eat while pregnant? Is the Zone diet okay to do while pregnant? What is the prevalence of GD in New Zealand? Is yogurt okay to eat? Is it normal to have yeast infections? Is it okay to take Xylitol during pregnancy? Is it okay to have a vbac? Does vitamin D help? What are the considerations for vegetarians? What are the risks if you don’t treat? Am I at greater risk of GD since I am carrying twins? What are the risks for the baby when mom has GD? What should I do about this issue after I deliver the baby? Is there any way to prevent it? What is the pathophysiology? PCOS and GD. What is the prevalence? Does oatmeal help? When is the usual onset? Does obesity increase the chance of getting it? When do I have to take Metformin when I have this issue? What to do when I feel a low blood sugar? Should I lose weight? Will I need an induction of labor because of my GD? Does it increase the risk of preterm labor? Does getting pregnant when older increase the risk? How does exercise help? How do you develop it? How do you feel with GD? How do you know when you have GD? How do you treat it? Can I reduce the risk? How do you control GD with diet? How to control GD with an Indian diet? How do I get it under control? How much insulin should I take for GD? How to cope? How soon can GD start? Can I reverse it? How can I pass the test? How often do I have to check my blood sugar when I have GD? How often should I eat? Who can I talk to about GD education? What can I eat when we are eating out? Can I have desert? What about drinks? What are some of the complications for moms? How many carbohydrates should I eat in a day? What should my blood sugar goal be? Do I need to be on bedrest after getting diagnosed with GD? How does breastfeeding affect a gestational diabetic baby? What are some bedtime snack ideas? Does it cause autism in children? Can I eat pizza after being diagnosed? What are some organizations that deal with GD? Does GD cause nausea? What are some nursing interventions for mothers with GD and their babies? What are some of the medications doctors will prescribe with GD? Do I need to keep a log of my blood sugars while I am pregnant? Do I have to check my urine for ketones? How do I prep for my glucose tests? Are you more likely to develop GD with your second and third pregnancies? Is quinoa good to eat when you have GD? What are some questions I should ask the doctor after they diagnose me with GD? What should my ketone levels be when I am a gestational diabetic? Is a ketogenic diet good for GD? Is juicing good for GD? Does GD cause headaches? Is GD genetic? What is Glyburide? Does having GD mean it will take longer to lose my baby weight? How much sugar can I have per day since I have been diagnosed with GD? How long does GD last? How long do I have to fast for the glucose intolerance test? What is the earliest I can be tested for GD? How early can you be induced with GD? How common is stillbirth with GD? How big can a baby get with GD? How to have a natural birth with GD? How does GD affect the other organs of the body? How do I know that my GD is gone? How do I know that my GD is under control? Does GD cause polyhydramnios? How does GD go away? Does GD make you hungrier than normal? How does the GD test work? Can I refuse a GD test? Is GD caused by stress? Does GD make you crave sugar? Do large babies born to gestational diabetic mothers remain big? Can I exclusively breastfeed when I have GD? Do you have rapid weight gain when you develop GD? Why is my blood sugar so high in the morning, now that I have GD? What kind of soft drinks can I have with GD? Can you develop GD after 28 weeks? Can thyroid problems cause GD? Can the A1C diagnose GD? What year did GD testing begin? When does GD start affecting the baby? When does GD peak? Is the paleo diet good for GD? Are there any natural remedies for GD? What are the signs and symptoms of GD? One of the scariest parts of GD is the fact that there aren’t any obvious signs and symptoms. Pregnant women should always go to their prenatal visits and complete the tests that the doctors recommend. Sometimes pregnant women will feel thirstier or need to urinate more than usual, while this is bothersome to her, it is common in pregnancy. What kind of weight gain should I expect with GD? Weight gain is increased when you are diagnosed with GD. There is a great correlation between weight gain and uncontrolled diabetes. If you control your GD with diet and exercise, then your weight gain will not be significant. If it is left uncontrolled, your weight gain will increase and so will the babies. Gestational vs type 2 diabetes. Gestational diabetes is defined as a diagnosis of diabetes during pregnancy. It has to be greater than 20 weeks’ gestation. Type 2 diabetes is diagnosed when you are not pregnant. In both type 2 diabetes and GD, there is more glucose in your blood than is needed. The insulin, which helps glucose enter your cells, is not being used effectively. Therefore, you have insulin resistance. The only difference between the two are when you are diagnosed. How does apple cider vinegar effect GD? Apple Cider Vinegar lowers your blood sugar. It is thought to work by slowing down or blocking carbohydrates from absorbing. There is not a lot of research on how this affects pregnant women and the fetus. Make sure that you speak to your doctor before starting a regimen of this kind. What are the cut off values for GD? What are the screening test for GD? What should the fasting blood glucose be when pregnant? What is the correlation between GD and jaundice with the newborn? What foods should I avoid when I have GD? What is the correlation with gestational hypertension and GD? Women who are diagnosed with GD are at greater risk of getting pregnancy induced hypertension. There is not a lot of research in this area, but the facts show there is a correlation between the two disorders. When do you get tested for GD? The hormones that the placenta releases during pregnancy tend to impair the action of insulin in mom’s body. This causes insulin resistance, which leads to GD. Who is at risk for GD? What is the risk of getting diabetes after being diagnosed with GD? What is the risk of my child getting diabetes after I am diagnosed with GD? What are some healthy breakfast ideas for someone with GD? Any kind of eggs, lean meats, fresh fruit, oatmeal, 100% whole wheat bread, almond butter, vegetables and low fat dairy are all good ideas. You want to stay away from white starches and sugar. Is there a risk if taking Zantac with GD? Are Zone bars okay to eat while pregnant with GD? There are many different flavors of Zone bars. They can make a good supplement to your diet. Always remember you should have 15 carbohydrates for breakfast and up to 45 for lunch and dinner. Watch your labels! Is the Zone diet okay to do while pregnant with GD? Dieting is not recommended at any time during pregnancy. The Zone diet is a pretty healthy diet. Dr. Sears, the inventor of The Zone Diet, states that it is the best diet to protect the baby from the effects of GD. Some OB physicians would not agree. They feel that women need all the different macronutrients. As with any diet, talk to your provider before starting one. Also, before taking any dietary supplements, speak to your doctor. What is the prevalence of GD in New Zealand? Is yogurt okay to eat with GD? Yogurt has dairy in it, which has sugar in the form of lactose. Too much sugar is bad for people with GD. Looking for a brand with low sugar and more protein is a good choice. Greek yogurt usually has more protein than regular yogurt. Is it normal to have yeast infections with GD? Is it okay to take Xylitol during pregnancy with GD? Is it okay to have a vbac when you have GD? Does vitamin D help people with GD? Vitamin D is thought to increase insulin sensitivity and secretion. (Bird, 2013) Taking Vitamin D supplements is good for you, but your body can only absorb so much. Getting enough sunlight to fulfill your Vitamin D quota is better, since you cannot get too much with the sun. Sitting in the sun for about 10 minutes a day, just until your skin starts to feel warm is ideal. Also, be aware that sunscreen will block this action. What are the considerations for vegetarians with GD? What are the risks if you don’t treat GD? Am I at greater risk of GD since I am carrying twins? What are the risks for the baby when mom has GD? When a baby is born to a gestational diabetic mother, the baby is more likely to be big (macrosomia). Big babies have a hard time coming out naturally. If they do, they run the risk of tearing mom, which could lead to hemorrhage. They also run the risk of needing an operative delivery, which also increases the risks of hemorrhage and infection. A macrosomic baby has a greater chance of needing formula after delivery due to low blood sugars. This has its own risks. Shoulder dystocia is another risk that can lead to paralysis of the babies extremities. What should I do about GD after I deliver the baby? The doctor will tell you if you need blood sugar checks in the postpartum stage, otherwise, a blood sugar check 6 weeks postpartum will be all you have to do. Is there any way to prevent GD? Gestational diabetes can be prevented most of the time. With small lifestyle changes like staying active and watching what you eat, GD can be a thing of the past. What is the pathophysiology of GD? Polycystic Ovarian Syndrome is a condition where large cysts are formed over the follicles, making it hard for the eggs to be released. Women are usually unfertile and their periods are irregular. The major hormone involved is androgen. (Diabetes.org, 2014) The exact reason for PCOS causing GD is unknown, but it is definitely a fact that it does. It is also thought that GD causes PCOS. What is the prevalence of GD? When is the usual onset of GD? Gestational diabetes is defined as a high blood sugar during pregnancy for someone who has not been diagnosed previously. Typically, women are diagnosed between 24 and 28 weeks as this is when they are tested. For women with a greater risk, testing may start a little earlier. Does obesity increase the chance of getting GD? When do I have to take Metformin when I have GD? What to do when I feel a low blood sugar with GD? Should I lose weight since I am a gestational diabetic? Will I need an induction of labor because of my GD? Does GD increase the risk of preterm labor? Gestational diabetes does increase the chance of preterm labor. Women diagnosed before 24 weeks had a greater chance of preterm labor than women diagnosed after 24 weeks. Does getting pregnant when older increase the risk of GD? How does exercise help GD? How do you develop GD? During pregnancy, the hormones that are released blocks the action of insulin. This makes every pregnant woman insulin resistant to a certain degree. Some will have blood glucose levels high enough to be diagnosed with GD. Overweight and obese women have a greater chance of this. A healthy diet and good exercise plan will keep your blood sugar within a normal range. How do you feel with GD? Typically, women do not feel any different when they have GD. The effects are all internal. Many times the baby gets very large (macrosomic) and this can become uncomfortable for mom, but otherwise there aren’t any symptoms. How do you know when you have GD? Most women do not know when they have GD as there aren’t any outward signs and symptoms. All pregnant women will get a blood glucose test between 24 and 28 weeks. How do you treat GD? Gestational diabetes is treated with a healthy diet of low sugar and carbohydrates, but greater in vegetables and organic lean meats. Exercise is beneficial to treating GD also. If you cannot control it with diet and exercise alone, medication may be prescribed to you. Can I reduce the risk of GD? You can reduce the risk of GD by following a healthy diet and exercise plan. Seeing your doctor regularly for prenatal visits will help also. How do you control GD with diet? Limiting your sugar and carbohydrates is essential to keeping your blood sugar levels stable. Eating a diet with low glycemic index is good for you and the baby. Starches need to be eaten in moderation. Fruit has to be limited also due to the high content of natural sugar. How to control GD with an Indian diet? You can control GD with an Indian diet just as you can with an American diet. Limit sugars and carbohydrates. Eat low glycemic index foods, starch and fruits in moderation and exercise throughout your pregnancy. How do I get my GD under control? The best way to get GD under control is to watch what you eat. Limit your consumption of sugar and carbohydrates. Lower your consumption of starches and fruits. Exercise with weights and aerobically. Lastly, keep all of your prenatal visits to keep the doctor aware of how your GD is coming along. How much insulin should I take for GD? How to cope with GD? When you are diagnosed with GD, it can come as a big blow. Every woman wants an uneventful pregnancy and delivery. When they are diagnosed with GD, their dream of the perfect pregnancy goes down the drain. Make sure that you have someone you can talk to, whether that be your spouse, mother or friend. Talking about how your feeling is the best way to cope with this diagnosis. How soon can GD start? Most of the time, GD starts later in pregnancy. This is why doctors check your blood sugar between 24 and 28 weeks’ gestation. Some women will start a little sooner. You can completely control GD with diet and exercise, but once you are diagnosed, there is no turning back. This means that you can work hard and have a healthy baby, but the baby will still be treated the same after he or she is born. This means closer monitoring and blood sugars will be checked. How can I pass the GD test? There is no sure fire way of passing the GD test. If you enjoy a healthy diet and exercise frequently, then you are likely to pass the test. There is no cheating this test! How often do I have to check my blood sugar when I have GD? How often should I eat when I have GD? Who can I talk to about GD education? Firstly, you should talk to your Obstetrician. They can guide you in the right direction. It is important that you speak to a diabetes educator. These diabetes experts can work a program out for you with what you should eat, how to count carbs and ways to exercise that fits your lifestyle. What can I eat when we are eating out and I have GD? Salads are always a good choice. Ask for the dressing on the side, so you can monitor the amount of dressing. Always read the nutritional facts as this will show you what the smarter choices are. Can I have desert when I have GD? You can have desert when you have GD, but you have to limit the amount of sugar and choose healthier alternatives. What about drinks when I have GD? You want to cut out sugary drinks and juices. Diet sodas are okay and sugar free juices. You will have to learn how to read labels to watch for hidden sugar. If you look at the carbohydrates on the nutritional label, it will have the sugar included. What are some of the complications for moms with GD? Developing GD will definitely change things for your pregnancy. For starters, you are at higher risk of developing type 2 diabetes later in life. You have to be much more careful about what you eat during your pregnancy. Your baby could be large and cause trauma during delivery or require a cesarean section. How many carbohydrates should I eat in a day with GD? What should my blood sugar goal be since I have GD? Do I need to be on bedrest after getting diagnosed with GD? There is absolutely no need for bedrest after being diagnosed with GD. As a matter of fact, exercise is encouraged to decrease the blood glucose level in the blood. How does breastfeeding affect a gestational diabetic baby? What are some bedtime snack ideas for someone with GD? Protein and a small amount of carbohydrates is usually a good plan for nighttime snacks. This ensures that your blood sugar stays stable through the night. You definitely do not want to eat sweets before lying down. Does GD cause autism in children? Can I eat pizza after being diagnosed with GD? You can absolutely eat pizza after being diagnosed with GD, you just don’t want to do it every day. Once in a while is perfectly fine. What are some organizations that deal with GD? One of the best diabetes organizations is the American Diabetes Association. The International Diabetes Federation is the worldwide leader in diabetes education. 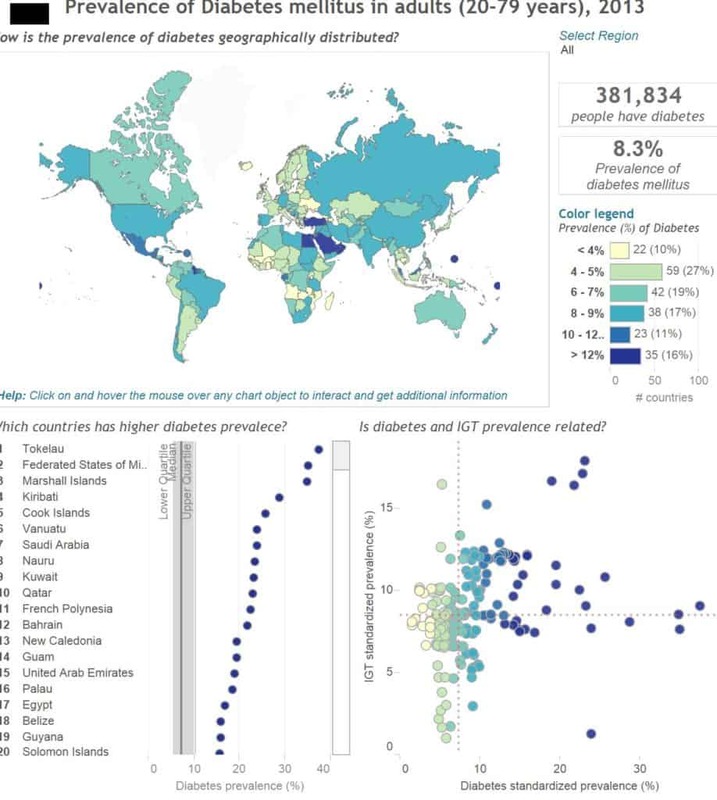 There is the National Diabetes Education Initiative who governs the diabetes education in the world. The American Association of Clinical Endocrinologists is another that diabetic educators and endocrinologists go to for their information. Nausea is listed as a symptom of GD, although there usually isn’t any signs or symptoms of GD. Most of the symptoms listed are normal in pregnancy anyway, so it is hard to tell exactly what is causing it. Now, after you get diagnosed you might feel a little nausea from all the worry it brings on. What are some nursing interventions for mothers with GD and their babies? The nurse needs to make sure the patient has sufficient knowledge on the care of GD. 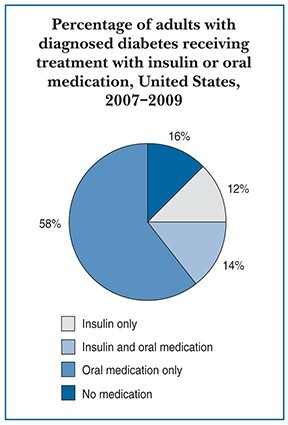 Teach the patients how to administer insulin. Educate patients on education and diet. The nurse should go over the signs and symptoms of hypoglycemia and hyperglycemia with the patient. What are some of the medications doctors will prescribe with GD? Do I need to keep a log of my blood sugars while I am pregnant? You do want to keep a log of your blood sugars. This will help the physician with the plan of care. If they see that diet and exercise alone are not keeping your blood sugar in the normal range, they may need to add oral medications to your regimen. Do I have to check my urine for ketones? How do I prep for my glucose tests? The only thing that you need to do before a glucose screening test is not eat or drink anything for 8 hours before. They will provide everything you need when you get there. You do not want to alter your diet at all in the days before. Are you more likely to develop GD with your second and third pregnancies? If you had GD with a prior pregnancy, your chances are much greater that you will have it again. Is quinoa good to eat when you have GD? Quinoa is a great food with a low glycemic index. It does not spike your blood sugar which makes it a perfect addition to your diet. It is a protein and has fiber. What are some questions I should ask the doctor after they diagnose me with GD? I would start with the effects this could have on the baby and yourself. That is enough to scare you into listening when they talk to you about your diet and exercise regimen. I would ask how often they want you to test your blood sugar and what the levels should be. What should my ketone levels be when I am a gestational diabetic? You should not have ketones in your urine when you are pregnant. This indicates that your body thinks it’s starving and is using up your fat cells as energy. Is a ketogenic diet good for GD? The ketogenic diet is not good for GD. When you are pregnant you need all macronutrients. It is good for you to limit carbohydrates when you are diagnosed with GD, but not so much that your body starts eating up all the fats and your unloading ketones in your urine. This may be a good diet when you are not pregnant, but not now. Is juicing good for GD? Juicing is great for GD. You can get a lot of nutrients in an easy to digest drink. Although, you need to juice in addition to getting enough macronutrients. You also want to limit your fruit and add more vegetables. Gestational diabetes does not cause headaches. Hypoglycemia and hyperglycemia does. So if your GD is not managed well, you can get headaches, but just having GD does not cause headaches. Gestational diabetes does seem to be genetic. This isn’t the only risk factor. Environmental is also important. Diet and exercise can fight off GD even in those that are genetically inclined. Does having GD mean it will take longer to lose my baby weight? 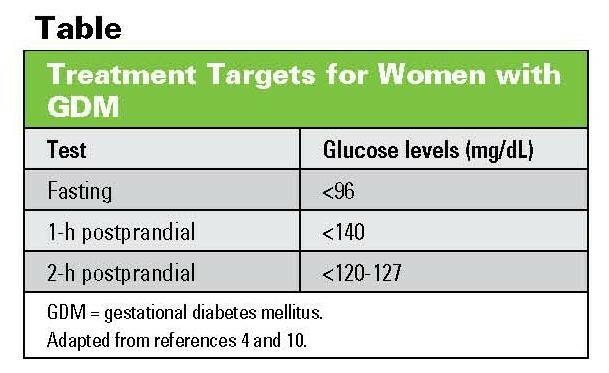 Gestational diabetes does not make it harder to lose weight after you have the baby. It does make you gain more weight while you are pregnant if you are not careful and this will be harder to lose. Breastfeeding helps you lose the weight faster. How much sugar can I have per day since I have been diagnosed with GD? There is no clear answer about sugar intake when you have GD. Sugar must be limited as do carbohydrates, since the body converts them to sugar. When you are diagnosed with GD, you need to start reading labels. You will find there are hidden sugars in many different foods. How long does GD last? Gestational diabetes usually develops later in pregnancy and is typically resolved when the baby is delivered. Some women have symptoms after pregnancy, but they are usually short lived. How long do I have to fast for the glucose intolerance test? Before having your glucose intolerance test, you should fast for 8 to 14 hours. Your doctor or clinic will tell you exactly how long. What is the earliest I can be tested for GD? The test is typically done between 24 and 28 weeks. Some doctors will have you do the test a little early, but it is normally around this time. How early can you be induced with GD? The physicians always try to hold off until the baby is about 37 weeks, that’s when their lungs are mature enough. If the baby is large and your GD is out of control, the physician might induce earlier. How common is stillbirth with GD? How big can a baby get with GD? Untreated GD can result in a very large baby. Usually the doctor will know this ahead of time and plan for a cesarean section. There was a big baby born in Germany in 2013 who was 13 and a half pounds. There was a baby weighing a little over 13 pounds delivered in Spain in 2013 also. How to have a natural birth with GD? You can have a natural birth after being diagnosed with GD. As long as you eat healthy, watch your carbohydrate intake and exercise regularly. You can actually have a very normal pregnancy. How does GD affect the other organs of the body? Gestational diabetes is a temporary problem that can lead to a permanent problem later down the road. Usually women do not have GD long enough for it to affect the other organs. How do I know that my GD is gone? Usually your GD disappears the second the baby is delivered. Your doctor may have you test your blood sugar for the first week after delivery. When your blood sugars are normal, then your GD is gone. How do I know that my GD is under control? With diet and exercise you can keep your GD under control. To tell how well it is being controlled, your blood sugar will have to be checked. If your numbers are within the normal range, you are controlling it well. How does GD go away? Once the baby and the placenta are delivered, moms hormones go back to normal. This effect is usually immediate after delivery for these certain hormones. Does GD make you hungrier than normal? Anytime you cut carbohydrates down in your diet, you may feel hungrier than normal. Your blood sugar should normalize, so you shouldn’t go through bouts of extreme hunger when your blood sugar drops after a spike. Although, you won’t feel as satiated without a lot of carbohydrates. How does the GD test work? With the glucose screening test, you will drink a glucose liquid and then get your blood sugar taken. This allows the screener to know the exact amount of sugar and to see exactly how much your blood sugar rises. Can I refuse a GD test? You can refuse any test you would like. The only problem is this particular test can save you and the baby from major problems. This isn’t an invasive test, so it does not have any repercussions. If you refuse the test while pregnant, your baby will undergo the same tests after he or she is born that a gestational diabetic baby would. Is GD caused by stress? Gestational diabetes is not caused by stress, although stress can cause your blood sugar to rise. This is not good for any diabetic or pregnant lady for that matter. Does GD make you crave sugar? The only thing about GD that makes you crave sugar is the fact that you have to go without it. That will make anyone want it!!! Otherwise GD will not change your cravings at all. Do large babies born to gestational diabetic mothers remain big? Can I exclusively breastfeed when I have GD? You can plan on breastfeeding exclusively and the healthcare staff will try their best to accommodate that. There are times when the babies blood sugar may drop too low and the baby will need to have formula unless you can pump enough breastmilk to sustain the babies blood sugar levels. Also, larger babies seem to lose weight more so than smaller babies and they may need to have formula if they lose too much. Do you have rapid weight gain when you develop GD? One of the consequences of GD is weight gain. In reverse, rapid weight gain can cause GD also. That is why you have to watch what you eat and drink very closely. Why is my blood sugar so high in the morning, now that I have GD? The liver sends out glucose into the blood through the night. If there is not enough insulin to send it into the cells, then the glucose remains in the blood stream. This is what makes your blood sugar sky rocket in the morning. It is called the dawn effect. What kind of soft drinks can I have with GD? Can you develop GD after 28 weeks? You can develop GD after you have tested negative. This is unlikely, but that is why they always test your urine during your prenatal visits. This way they can catch it if it starts later. Thyroid problems may cause GD. However, this is poorly studied. It is known that pregnant women with hypothyroidism are more likely to develop GD. What does this mean to you? If you have hypothyroidism, start your pregnancy off right by taking the medication prescribed to you by your doctor, eating healthy meals and exercising. This will decrease your risk of developing GD. Can the A1C diagnose GD? The A1C is used to screen type 2 diabetics. It shows your average blood sugar over the last three months. Gestational diabetes is temporary, so we need the immediate test. What year did GD testing begin? Testing for GD started in the 1960’s. When does GD start affecting the baby? Gestational diabetes affects the baby after a while. The damage from the excess insulin causes problems over time. If you are diagnosed with GDM and manage your diet well and exercise, your baby will be very healthy. Is the paleo diet good for GD? The Paleo diet is lower in carbohydrates, so it would be good for a woman with GD. Although, any kind of weight loss diet is not recommended while you’re pregnant. Carbohydrates need to be added to every meal, they just need to be complex, good for you carbohydrates. Some examples of complex carbohydrates are beans, whole grains, peas and vegetables. Are there any natural remedies for GD? Karella Juice is thought to lower and stabilize blood sugar. There are a few substances in it that work together to lower your blood sugar. It also contains lectin which decreases your appetite. (Diabetes.co.uk, n.d.) Always check with your doctor before starting any supplements while pregnant. There are a few essential oils that have been found to help with diabetes. Ocotea, Ningxia Red and Omega Blue. Anytime you want to use essential oils, you should check with your OB doctor. While they are natural, they may cause harm to your unborn baby. So those were the most asked gestational diabetes questions. I believe it will be helpful to anyone going through this. Jennifer Tomaselli is a certified registered nurse and a diabetes expert. She started off as a nurse in the maternity area of the hospital and fell in love with it. This area is the happiest place in the hospital, so she stayed. She also holds a Master's Degree. What are some good phone apps for monitoring my blood sugar levels? I use the glucose companion app to record my blood sugar numbers. It also has a place for notes, so with each number I include a note about what foods I’ve had since the last time I tested. This helps me to see if certain foods tend to make my numbers higher. I think there are other blood sugar apps available that will provide these basic features. This is my 3rd pregnancy with GD (and I’ve got 2 very healthy little boys from the 1st 2 times). Yeah, I’m on my 3r GD pregnancy and also had two healthy little ones…a boy and girl. No problem at all! I was diagnosed with gestational diabetes early on in my pregnancy. Just recently I was A1C tested and my glucose came back 4.2. I am almost 33 weeks pregnant. So, I am now going to be treated as a normal patient and my doctor’s now acknowledge that my sugar readings (I test 3 times a day) are accurate and I don’t have gestational diabetes anymore. Also, my specialist Dr in Danville says it is rare but does happen. You may want to include that somewhere in this article. “Is it okay to have a vbac when you have GD? This information is wildly misleading. It is cherry picked, limited “facts” like this that cause millions of American women to have unnecessary birth interventions. I’d like to see ALL the details on this outdated COLEMAN research. Ladies, if you’re reading this please do your own research. Ask a million questions, ask for up to date research and know your body. I’ve had two successful VBACs with GDM. Very small, super healthy babies to boot. Every woman is different. If you’re blood sugars are out of control, yes there are big risks to you and baby. But don’t let misleading parsed information like this cause you to get surgeries and other necessary interventions for you and your baby. I appreciate these efforts to provide the public with information about GD. However, I strongly object to the manner in which GD and the people who have it are stigmatized on this site. I exercised for about an hour per day and maintained a healthy diet and overall weight-gain throughout my pregnancy, and I was still diagnosed with GD. (In addition, prior to becoming pregnant I ran 7-8 miles per day.) The claim that GD “can be a thing of the past” if only people exercised and dieted is both false and harmful, given recent studies indicating that many women with GD experience depression because they are made to feel that they did something wrong to bring on their condition. I’m sure that there are cases where increased exercise and a better diet could have prevented GD, but the sorts of blanket statements expressed in this piece are, in my view, irresponsible.